Ben Woodburn is expected to be sidelined until the beginning of next year after suffering an injury to his ankle. It marks the latest setback in a stuttering loan spell with Sheffield United in which he has managed just eight appearances across all competitions so far this season. Such has been his lack of playing time with Chris Wilder’s side that the Welshman has been recalled twice to play for Liverpool’s U23s thanks to a clause in his deal. 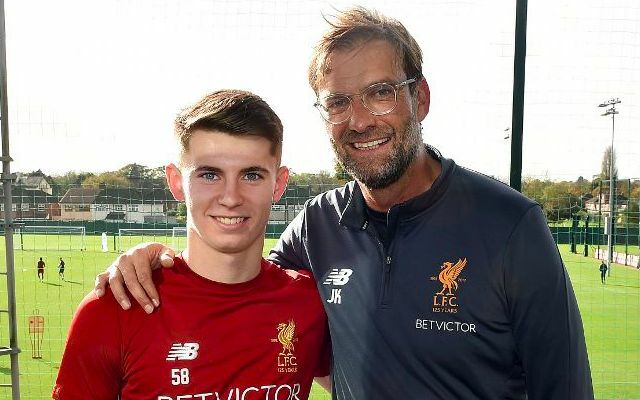 The 19-year-old has now been allowed to return to Merseyside for treatment on the problem he picked up during training, reports the Liverpool Echo. His time out of action could well mean he has played his final game for the Blades, with Liverpool expected to cut short his temporary stint in January. With his time at Bramall Lane marking his first taste of a regular senior routine, concerns over disruptions to his development seem slightly premature. It’s worth noting it took Harry Wilson a tough spell with Crewe Alexander in 2015 and three further years of rediscovering his top form with the Reds’ U23s before being ready for life as a starter. Five months with Hull City at the beginning of the year has proven to be a perfect springboard off which to make his mark with Derby County in the current campaign. Woodburn won’t be alone upon his return to Melwood in the new year, with Ovie Ejaria having recently cut short his season-long loan at Rangers.